Here are answers to some of the most common questions about your Duluth International Airport. Terminal — The Duluth International Terminal doors are unlocked two hours before the first scheduled flight in the morning. Airline Ticket Counters —Our airline managers recommend arriving ninety to sixty minutes before your scheduled departure. The airport doors are open two hours before the first scheduled morning flight. Rental Cars — We have multiple rental car agencies available. Please refer to the Rental Car page for the most current hours and contact information. Hours are based on flight schedules and are subject to change. Help! My luggage is in Duluth. Don’t worry, we’re here to help. Our airline baggage office can be reached at (218) 726-4023. If you are not sure where you bag is, your Airline might be the best place to start. Can I ship or receive puppies? This one depends on the airline. Best to check their Policies first. For questions about picking up a puppy at our airport, you can contact our airline cargo/freight office at (218) 726-4023. I lost an item while traveling. Do you have a Lost & Found? Losing an item while traveling isn’t fun. We’re here to help find it. There are three ways to recover a lost item, depending on the location or time it went missing. If it was lost during the screening process, TSA will be your best bet. Call (218) 727-7430 to reach a service agent. Your airline can also help you track down lost items. If the item was left or lost on the plane, the Airline can help you file a lost item claim. How do I find my flight status? It’s easy. Simply check out our homepage. We feature all inbound and outbound flights for the day, so you can stay up-to-date on all things DLH. For specific airlines, you can visit the United website or call (800) 864-8331. Delta Airlines information is available online or at (800) 221-1212 (choose the “Check my Flight Status” option). Delta and United will contact you if your flight is cancelled at the phone number provided at the time of reservation, or an e-mail will be sent if you are a Premium Member. I will be flying out of Duluth and parking for six days. What is the charge? Our Parking page includes all daily rates and parking information. If you prefer calling over clicking, contact the Republic Parking booth at (218) 727-7122. What can I take in a carry-on? So many things. 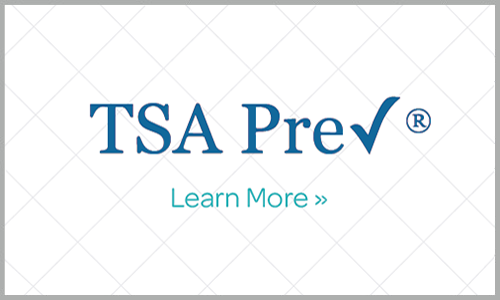 The TSA website offers a list of approved carry-on items including medical supplies and liquids. You can also contact the Duluth International TSA office at (218) 727-7430. Does the airport provide shuttle service? Various hotels in the area offer shuttles to pick you up and take you to your home away from home. At this time, the Duluth International Airport does not provide its own shuttle. However, taxis, rental cars, and DTA buses all provide service to airport. Please visit our Transporation page for details. We’re always looking for friendly, attentive staff to make our guest experience more enjoyable. Please visit our Employment page for any current openings at the Duluth Airport Authority. You can stop at our office, third floor of the main terminal, to pick up an application. Applications are kept on file for one year. The Duluth International Airport address is 4701 Grinden Drive Duluth, MN 55811.
Who do I contact regarding Fixed Base Operations, such as Fueling and Charter Service? Our Fixed Base Operations are run by Monaco Air Duluth. They handle all private and charter planes, along with fueling and maintenance. Their website is www.monacoairduluth.com or you can contact them at (218) 727-2911. Are there wheelchairs available at your terminal, and my destination? The United and Delta ticket counters have wheelchairs waiting at all times. Please visit our Accessibility page for more information. Let the ticket agent know, and he or she will arrange the wheelchairs for your destination. Unfortunately, the Duluth International Airport does not provide this service. I need to page someone in the airport. How would I do that? Our DLH Security office can be reached at (218) 625-7763. The Security Officer may be patrolling other areas, so keep trying periodically if someone doesn’t pick up. You can also look for an DLH airport official around you to help. Are there hotel accommodations near the Duluth International Airport? Yes. Nearby hotels can accommodate your stay. Also, downtown Duluth offers a host of hotels located only six miles from the airport, and near to a bustling center of shops, restaurants and stunning lakeviews. What is the DLH Emergency Contingency Plan? Preparation is important to us. Please see the Irregular Operations page for more details on what happens in an emergency.